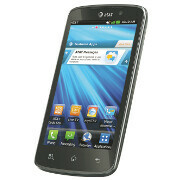 Until now, AT&T customers using the LG Nitro HD had to put up with Android 2.3 Gingerbread, while the rest of the world using top-end Android handsets has been enjoying the beauty of Ice Cream Sandwich. Not anymore! AT&T has just announced that its LG Nitro HD will finally make the jump to ICS on July 31 - next Tuesday. We're extremely happy for Nitro HD users, because ICS is a critical update. It practically reworks the whole platform, making it faster and much more stable. It also brings a brand new user interface, of which customers will see very little, because the stock ICS UI will be customized by LG's Optimus 3.0 UI. The main changes made by Optimus 3.0 include new lock-screen options, different icon-set and other graphical element changes, Downloads tab in the main menu and a few others. All in all, there's nothing too fancy about Optimus 3.0, but the good news is that all the great functionality found with ICS will be present, including better multitasking, new keyboard, Face Unlock and many other. What a great end of the month for LG Nitro HD users, eh? Be patient, guys, only a few days left until your handsets regain their cool-factor! The update should be available OTA, but strangely, AT&T doesn't mention this option. Instead, it says that customers should visit the following link to get the update: Nitro-HD-ICS-Update. s on that. I have been running revolution ics custom ROM way better. WOW!!! I just updated my LG Nitro HD to 4.0.4 using the Optimus 3.0UI...I LOVE IT!! The phone is so much smoother. Cleaner look and not as cartoony running 2.3. Also it seems the calibration is a lot better. So many new features! Thanks LG!!! I just updated my lg Nitro this morning and everything seems to be working well, and the refinement of the widgets and UI seem to do the HD screen more justice then with ginger bread. The only thing I am having trouble with is having the widgets on the bottom of the lock screen, I've tried setting them up but they don't appear when I go to unlock the phone.